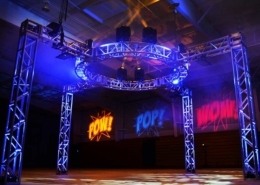 Bring the popularity of sports to your next event! 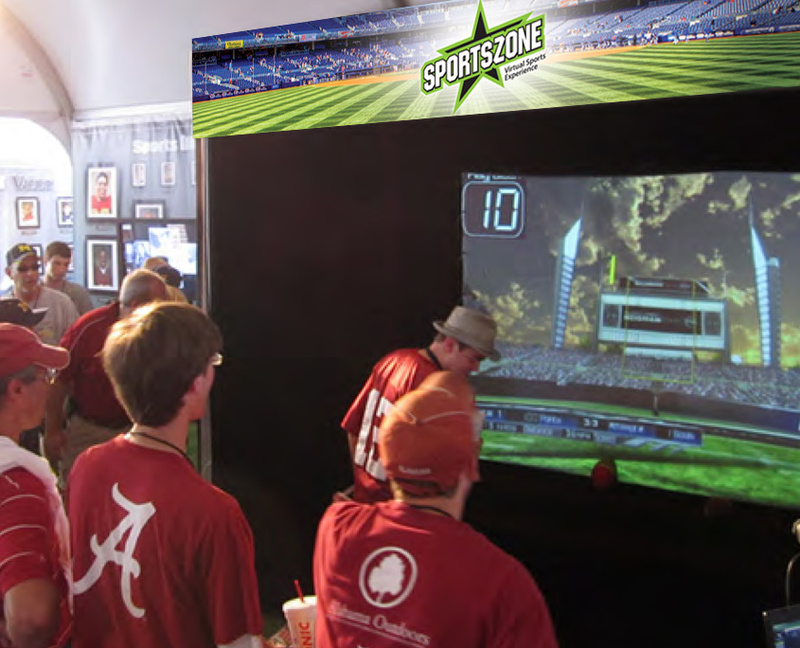 SportsZone uses real sports equipment and allows guest to interact and play their favorite sports in a virtual environment. 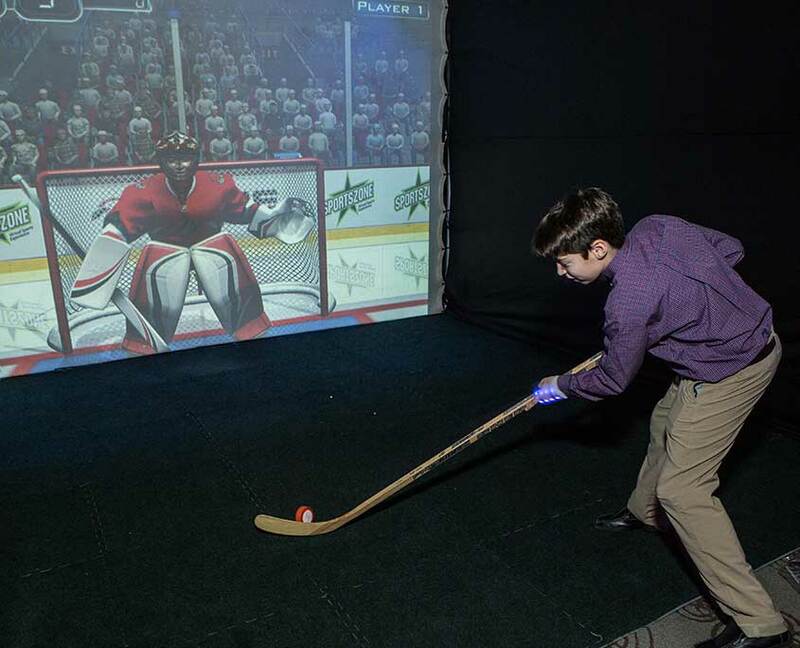 Guests use real sports equipment to interact in a virtual environment. 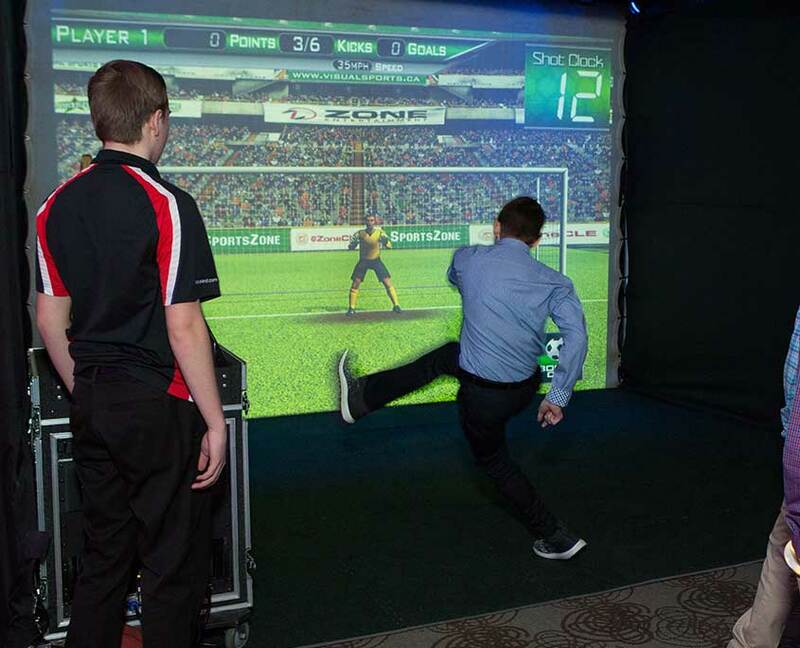 Example: In the soccer kicking challenge, guests kick a real soccer ball at the screen towards the image of a projected goalie. The second the ball touches the screen it becomes digital in an attempt to score! Many sports are available and can be found in the list below. 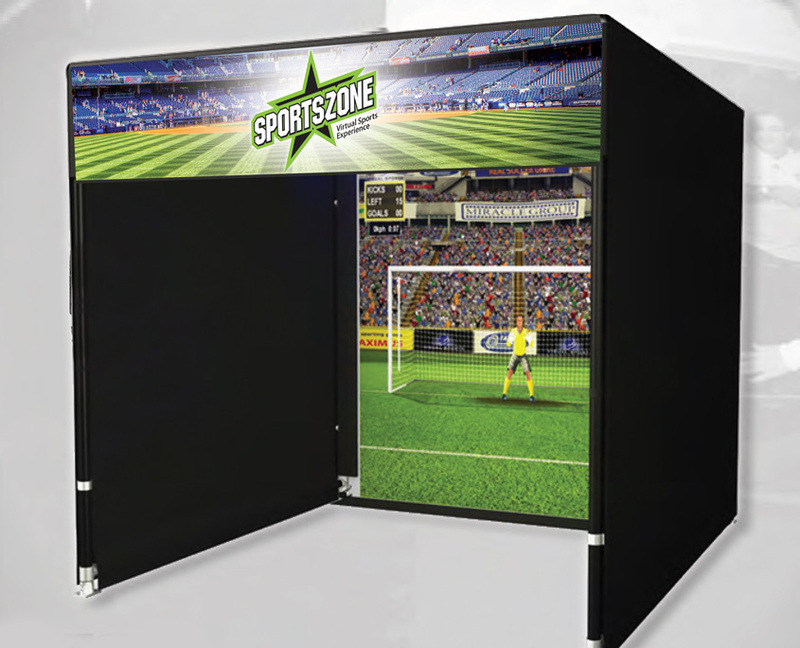 SportsZone brings your favorite sports indoors and to your next event. 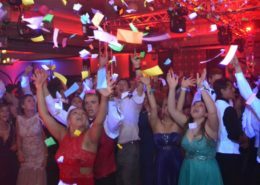 An absolute hit for guests of all ages! 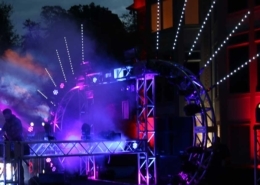 The entire structure is enclosed with drape to contain the excitement, energy and sports equipment. High-speed cameras are used to track the equipment and allow for the most realistic playing experience.